You might be overwhelmed at trying to find the best hybrid table saw, but it doesn’t need to confuse you. With our hybrid table saw reviews, we take the guesswork out of the selection. As a professional woodworker, you want to purchase a high-quality saw that will get the job done right. Even if you are simply a DIY homeowner, there are plenty of opportunities when a hybrid table saw will make your job easier. Thanks to new technology, finding the best hybrid table saw isn’t as difficult as it once was. They are becoming more accessible to the average user so you can tear through those materials with ease. 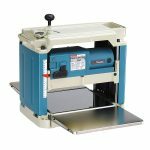 What is a Hybrid Table Saw Good For? If you have a lot of projects to complete, or you know that you’ll need your machine on a regular basis, then it’s wise to invest in the best hybrid table saw on the higher-end. These are going to cost more than other models, but they’ll last longer. They’ll also help you to get the job done faster and often come with additional safety features. If precision, compactness and convenience are on your list of priorities, then this Shop Fox is the best hybrid table saw for you. There are lots of professional features included plus it has a durable design. This unit should help you complete tasks for many years, as long as you take care of it. The spaciousness of this table saw is what sets it apart. There’s plenty of room to hold your largest pieces of wood. In addition, it has an easy-glide fence which provides accurate and smooth cuts. With how many units struggle to supply a precise miter gauge, it’s nice to see that this model doesn’t disappoint. This 13-amp motor produces 3 horsepower, so you won’t ever lack any power. It’s one of the most powerful around. It also comes with a magnetic switch and thermal overload protection. If you handle lots of big projects, this is a great machine for you. If you aren’t familiar with using a table saw, this probably shouldn’t be your first choice. This model isn’t easy to use as a beginner; you’ll want some expertise first. Another thing to keep in mind is that this saw is heavy. It weighs right around 450 pounds, so you won’t be moving it anywhere fast. There is a two-year warranty on it which is good considering the price. Unmatched fit and finish with a keen attention to detail. When you are doing woodworking, you know there are a lot of things needed. Having the ability to cut your wood into a variety of shapes with the best hybrid table saw makes your life a little easier. This table saw operates at 1.75 horsepower, which is enough to cut through most wood at any thickness. There are numerous safety features that are a part of this saw as well. It detects when human skin comes in contact with the blade and shuts off. This occurs within 5 milliseconds, which is fast enough to save you from a severe injury. The cuts to the wood are impressive, with minimal damage. This leaves you with a smooth, clean cut every time. In addition, the saw is built to last. Of course, you are going to pay a good amount for this model, but for someone using the saw daily, it’s well worth the expense. It is a heavy model at over 250 pounds, so you won’t want to plan on moving it around often. There are a couple of downsides to this model. First, the stamped steel wings are inferior to those made of cast iron. Also, there’s no dust collector included. This seems a little odd considering the price you are paying and will undoubtedly be an issue for anyone that suffers from allergies or sinus ailments. Technically, this is a cabinet table saw, but it’s versatile enough that it easily fits on the best hybrid table saw list. This saw is constructed of high-quality, solid materials making it strong and durable. The trunnions, wings and table are made from heavy cast iron. It does weigh 530 pounds, which is to be expected from a cabinet saw, so there’s no way of moving this around often. It does have exceptional amounts of power which make up for the lack of mobility. With 3 horsepower, it’s easy to get those jobs done quickly. Other features include a riving knife, blade guard, quick release motor guard, quick release splitter assembly and easy-glide fence system. There are also knurled knobs to adjust the fence. The price is on the high side, but an excellent buy for someone using a table saw daily. It’s a great investment for anyone that needs a reliable table saw in their workshop. While it should last a lifetime, there’s only a one year warranty included. This unit is on the pricey side, but it’s a great option for the general woodworker. It’s bulky and heavy, which is to be expected with a professional unit. There’s a standard dust collection apparatus which is also a nice addition. The guard assembly is tool-less, so it doesn’t require a lot of fussing with. In addition, the AccuFence provides some additional accuracy and stability. With the belt drive system, there is less vibration and an increase in efficiency. The sturdy miter gauge also pivots 60 degrees on each side. This allows easy adjustments to provide a full range of cuts. This unit does weigh 418 pounds, so it’s on the heavy side. With that in mind, it does come with a 5-year warranty, which is more than any other we’ve seen in this class. If you want the best hybrid table saw, but you won’t need it daily, you might be able to save some money by going with a lower cost option. The only difference with these, besides the price, is that they’ll have fewer features. Laguna might not be the most well-known brand on the list, but you don’t want to overlook it as a choice for the best hybrid table saw. This unit has a 1.75 horsepower motor plus a 10-inch blade. On top of that, the rip capacity is 36 inches. This table saw is compact and there aren’t any clunky parts that get in the way of getting your jobs done. Safety is also a priority with the anti-kickback system. Other safety features include a quick release riving knife and a safety blade guard. This design features built-in wheels which make it easier to move around the 266-pound table. Just keep in mind that it still isn’t that portable. The high-quality miter gauge is sturdy and offers reliable components, which can’t be said about all table saws. The unit also comes with a one-year warranty. What customers don’t seem to like is that the assembly is difficult and the table saw requires adjustments. When it’s working on a 110V grid, it can also bog down, but you could upgrade to a 220V without much issue. This unit isn’t recommended for anyone that wants something ready to go. That makes it best for the experienced table saw user. There’s no question that the customers who purchase this believe it’s the best hybrid table saw on the market right now. That’s because it has some superior safety features which help it to stand out from the rest. It’s also capable of ripping and crosscutting any piece of lumber without an issue. It’s simple to mount the trunnions on the cabinet for additional adjustability of the fence and table. This allows them to be parallel to the blade for a more precise and easier cut. The table saw itself is large enough, but then there’s also an additional extension provided for more room. The quick-release guard is a nice bonus plus the riving knife minimizes any kickback risk even when there’s a non-through cut. There’s also a transparent blade guard for additional safety. On top of that, the saw features a dust port and channeled air flow to provide superior debris and dust collection. With a 2 horsepower motor, you should have no trouble cutting anything you want. It operates on a 110/220V and is pre-wired for a 220V outlet. You won’t want to move this unit around much because it does weigh 440 pounds. As you notice, the price on this is lower than anything we’ve reviewed so far, but you aren’t sacrificing any power or features. With that said, we are surprised it comes with a two-year warranty as many of the more expensive models only had a one-year. 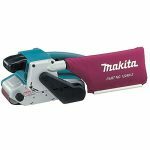 This is one of the best hybrid table saws and it’s also a bargain for everything that’s offered. The built-in tripod caster makes it easier to put in your shop. It’s also large enough to tackle most any job. With the enclosed cabinet, there’s a base to collect the debris and dust. Plus, the dust port is large at four inches. What’s nice about the design is that the way it is set up, enables it to capture dust right off the blade, so there’s a lot less mess. This saw features a 2 horsepower motor which won’t let you down. The one phase voltage operates on a 115/230 line. This is also a lighter table saw than some of the others at just 225 pounds. The T-square fence system allows you to have a rip capacity of 30 inches. With the cast iron top and solid wings, you’ve also ensured a durable construction that gives you an even, smooth finish. Another perk is the riving knife splitter which features a see-through blade guard. This allows you to have more precise cuts while remaining safe. There is a lack of reviews at this point for the saw, but we don’t think that will be the case once people start to take notice of this unit. It also comes with a one-year warranty for some additional peace of mind. It’s possible to get the best hybrid table saw and still operate on a tight budget. You’ll have to go with a saw that’s not as versatile and feature-rich, but it should be enough for your basic operation. You don’t have to drain your savings in order to get the best hybrid table saw. Check out this version from Bosch. The stand measures 29” x 21.5”” which is large enough for your boards and panels. It’s constructed of heavily machined aluminum and provides a strong fence for easy gliding across the surface. This unit also features a quick lockdown plus easy-to-make adjustments for precise work. The T miter slot gives woodworkers more flexibility and handling when working with large boards. Bosch supplies 4 horsepower with this saw which is more than enough to get the job done fast. The 10-inch blades spins at 3650 RPM plus the Soft Start technology keeps the blade spinning at a consistent speed, even under a heavier load. With this saw, users also receive a riving knife, anti-kickback pawls, and a blade guard. What many people like is that the blade guard is clear which allows for better viewing during a cut. This provides additional accuracy so your work looks professional. Bosch supplies a one-year warranty and 30-day money back guarantee. All of this comes with a reasonable asking price that simply can’t be beat. In fact, there’s no reason that every workshop shouldn’t be equipped with one of these. Not only is this unit lighter in weight than any other we’ve reviewed, but it comes complete with 8″ pneumatic wheels. This makes it easy to move the table saw between job sites. You aren’t going to find the best hybrid table saw at a price lower than this one. Not only that, but it’s the lightest and most portable that we’ve reviewed. Don’t let that confuse you into thinking it can’t handle its own, because it can. With this machine, you’ll make easy, quick adjustments and handle your wood in a flash. Many professional woodworkers and home DIY enthusiasts love this brand and the quality of tools that they make. It has a 2 horsepower motor, which is plenty for completing your jobs. It also only weighs 90 pounds plus comes with a rolling stand. That means you can set up and break it down with ease. Despite that fact that it sits on a rolling stand, it is completely stable. The onboard storage system allows for you to keep everything you need nearby. It’s the ideal choice for woodworkers or deck builders that require portability in order to complete their tasks. DeWalt also supplies a full 3-year warranty, which is far more than many of the other companies. With a 2-1/2-inch dust collection port, you’ll easily be able to connect this to a vacuum for sufficient dust extraction. When you work in a clean shop, you do a better job. Keep in mind that this isn’t going to be made of the same materials as your $2,000 table saw. With that said, DeWalt doesn’t create junk, so you can still expect it to last for a while. Most professionals want the power, performance and smoothness of a hybrid table saw. These are great for working on bigger projects that are too large for a portable saw. They are between a cabinet table saw and contractor saw in terms of performance. They compete with higher-end units, but aren’t overly expensive. You won’t have to struggle with hard, large or dense wood at all. You can also hook them right into your 120V household socket, so additional power sources aren’t needed. You won’t want a hybrid table saw if you are hoping for something portable. They are heavy and often not easy to move. It’s also advised to avoid this type if you are a beginner user. They require expertise to prevent injury. Before purchasing a hybrid table saw, you’ll want to know what to look for. Most hybrid table saws have between three and four horsepower motors. This makes them relative to a contractor table saw. Power transfer occurs through a V-belt. This efficient method produces a quiet operation. Amperage tends to range between 13 and 15 amps. That’s plenty to cut through wood without a problem. Safety features on the best hybrid table saw will be similar to other types. They should have a larger on/off switch, a blade guard and anti-kickback. Some of the higher end units might have thermal protection and overload prevention. The best hybrid table saw is an enclosed unit. These means that they’ll have a port for dust collection. The diameter of this port is what makes all the difference between trustworthy collection and a disaster. You want to find a large port so the vacuum can extract the most amount of material. Many people think that judging a power tool by price is a good representation of quality. While this is sometimes the case, it doesn’t always work that way. Just because a unit has a high price tag, doesn’t make it the best hybrid table saw. Machines that are made by the well-known manufacturers are going to have higher price tags because they are paying for brand recognition through advertising and sponsorships. While you want to pay attention to the price, this isn’t the best way to judge effectiveness. Most affordable units aren’t going to come with a slew of accessories. You’ll want to pay attention to the add-ons before making that purchase because the higher priced unit might come with all these and save you some money in the long run. Look for things like wheels, storage, table extensions and large tabletops. You need to consider the space you have to work with before purchasing the best hybrid table saw. It must fit in your area, or it isn’t worth the money. Read reviews that discuss the quality of the fence. You also want a good belt system or you might have slippage issues later on. Having every feature that’s offered means nothing if you can’t assemble the machine properly. The instructions need to be clear and easy to understand. Not only will you get annoyed if you can’t put it together, but it might lead to safety concerns during usage. Before hybrid table saws were invented, there were only two options. One was the cabinet style table saw and the other was a contractor saw. Cabinet style table saws are heavy and big. They’re also quite expensive. The investment is good for those that use it daily, like contractors. With that said, the price is usually too much for a DIY hobbyist to afford. The contractor saw is more affordable but they don’t produce the results of a professional unit. They often don’t feature enough power and they tend to be hard to adjust. In addition, they feature low-quality dust collection systems. The hybrid table saw is one of the best options out there. It has many of the same features found in a cabinet saw, but more than come with a contractor saw. They are less expensive and smaller than a cabinet saw but produce better results than the contractor saw. The best hybrid table saw doesn’t require a lot of maintenance either. After extensive study, we feel that every model we listed has something worth looking into. While they feature a lot of similarities to one another, there are some differences that make each machine perfect for certain people. If you need the best hybrid table saw, you want to ensure that you are making a wise investment. Read through the reviews carefully until you’ve found the one that suits your needs best. Making the wrong choice is often frustrating, especially when you are attempting to get a job done. All that’s left to do is build the project you’ve been dreaming of.